Many schools go on about how important it is to hear your child read on a regular basis. As parents, you may feel that it is unnecessary for your child to read to you every night but research has shown that children that do this have an academic advantage later on in their education. Reading can not only help with reading but can also help with spelling and confidence as well as understanding emotions and problem-solving. When reading a book with your child, take time out to ask them what they think is going to happy or to explain how a particular character is feeling. This will not only help them with their understanding but will break up the book and allow them a chance to understand what is happening rather than just reading the words. 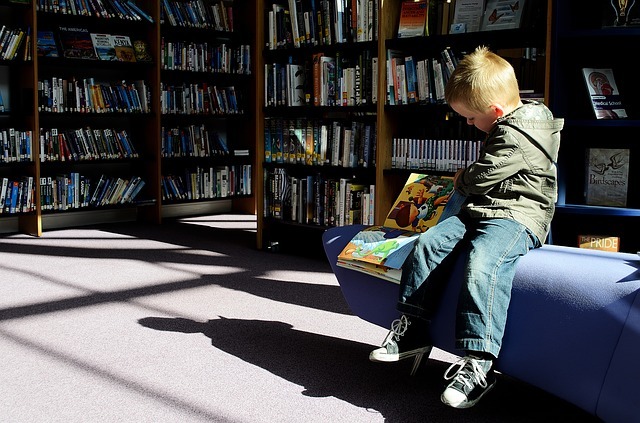 You do not have to go out and spend a fortune on children books, many charity shops have books for as little as five or ten pence or you could enrol in your local library to allow your children to pick their own book to read. You could even get your child to read sentences around the home, such as on the side of food containers or on the back of a DVD case. Audio books have been around for some time now, but recently more and more famous titles have been released. Stories such as The Gruffalo and Room on the Broom have been bought to life in audio and can make beds a pleasant time for your child. Although audio books should not replace bedtime story reading, it can be a perfect way to sooth your little one off to sleep. When choosing an audio book for your child you may want to listen to it yourself first, some stories which they may enjoy when you read them to them may become a little scary or get them too excited when in audio version. Audio books range in price, you can get a CD of famous fairy tales for about five pounds but if you want to pick up some of the more modern stories in audio form you may have to pay between ten and twenty pounds. Always have a look at the running time as you don’t want to be up there every ten minutes changing the CD over. You can get audio books from places such as W H Smiths or online. Many parents find it difficult to know how to help their child with their school work. As methods of teaching change, it is worrying to know whether or not you are helping or hindering your child by trying to explain how to solve a mathematics problem, which grammar to use in an essay or how to research a particular topic. This is when educational workbooks can be very useful. Publishers make sure that the books they produce are up to date with current Government guidelines and so parents can be assured that the content is relevant to the age and development of their child. When choosing a book, look at the recommended age and key stage. Books with reward stickers and certificates can give your child the incentive to complete the workbook. If you are still unsure whether a particular book is going to be helpful, it is always a good idea to ask your child’s teacher who may be able to view the book online and advise you further.